Here is another of my canvas board cards. I love the 5 x 7 inch size and with Tim's easel on the back they make a great card for someone special. The first one can be seen here if you missed it. It's a little more shabby and fussy in style. This one is more mixed media but kept simpler. 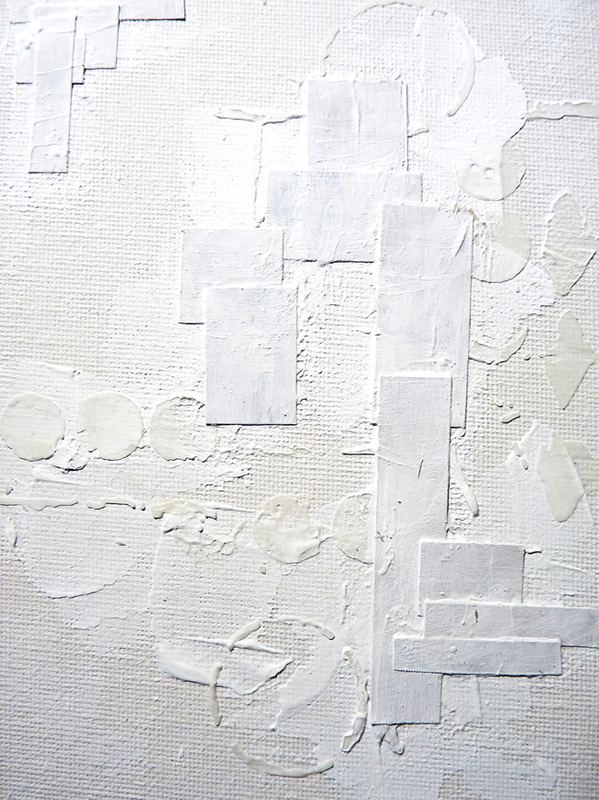 For this one I began with some gesso scraped on, dried and then texture paste added through a stencil. 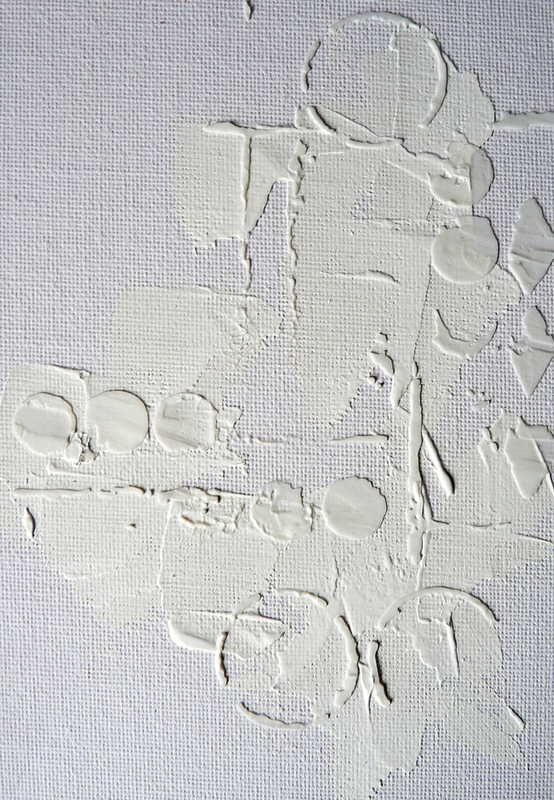 Then some paper pieces adhered over the top and I gave them two coats of gesso. Using peacock feathers, mermaid lagoon and picket fence distress crayons I added small marks, spritzed with water and rubbed the colours to achieve a watery wash and flicked on some peacock feathers and white ink. I added some more paper pieces giving them only one coat of gesso and edged them lightly with ground espresso and frayed burlap distress markers. Searching through one of my bits boxes I found all the embellishments and glued them on lifting the dress form to create added dimension and allow me to slip pieces underneath. Here you can see the easel on the back of the card which means my friends can keep their card as a small personal work of art from me. You can see I used the same dress form that I used on my AVJ wall art last week (see it here if you missed it), this one got discarded for that project but I didn't want to see it go to waste and am pleased how it fits with the lighter colour background. Now I wonder which friend will receive this for their birthday? Having seen the challenge at Craft Stamper I thought I would enter this as the theme is 'Take A Stamp' Anything Goes as there is some stamping somewhere on the project. 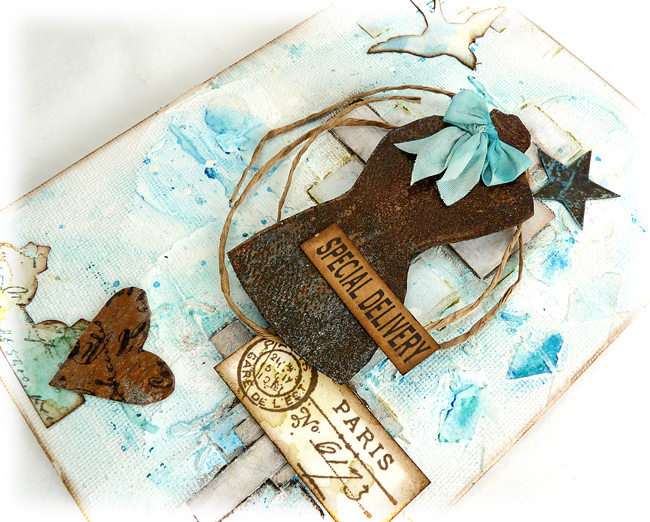 Stamp sets I have used are Wendy Vecchi - a form of art (the cut out dress form), Tim Holtz - purely random (the Paris ticket) and Tim Holtz - ledger script (stamped onto the heart and border at the bottom). I hope you are having a good week, we are catching glimpses of Spring arriving in the garden which is wonderful to watch. Take care and don't forget my give-away which is available till next week. Details are on my side bar. Wow! I am just loving your background for this piece! Thanks for sharing how you accomplished it. Brenda, this little canvas is so beautiful! My favourite is that little bow on the dress form! Awesome project! You are so talented. I'm sure your friend who receives this will be happy. This is super feminine and the bit grungy feel and rust make it special beautiful! Fabulous canvas board!!! Fantastic background and your usual masterful layering of other elements! And oh how I love the idea of the easel on the back!! I bought that die on a whim, thinking I would use it as a separate easel, but it never worked properly, this is obviously the solution, super idea, thanks for that!! Awesome canvas, Brenda! I love the fact that there is an easel on the back to make it easy to display. A fabulous canvas Brenda, like the idea if the easel as well. Whichever friend it goes to... she will be thrilled to receive it Brenda. It's soooo chic and lovely. That little blue bow at the neck is the piece de resistance! XXj. Love the use of the stand! LOVE the rusted bust! LOVE all the texture. Gorgeous! 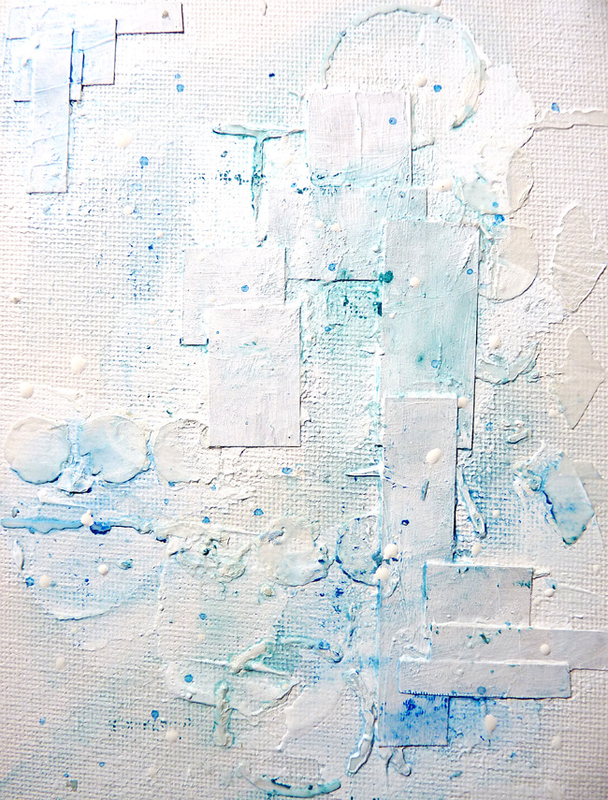 Such a charming piece (love the color and texture! ), and what a wonderful thing, the easel back! what great background you have created Brenda.....love the details and the colouring is just so delicate. Great layering of your embellishments too. 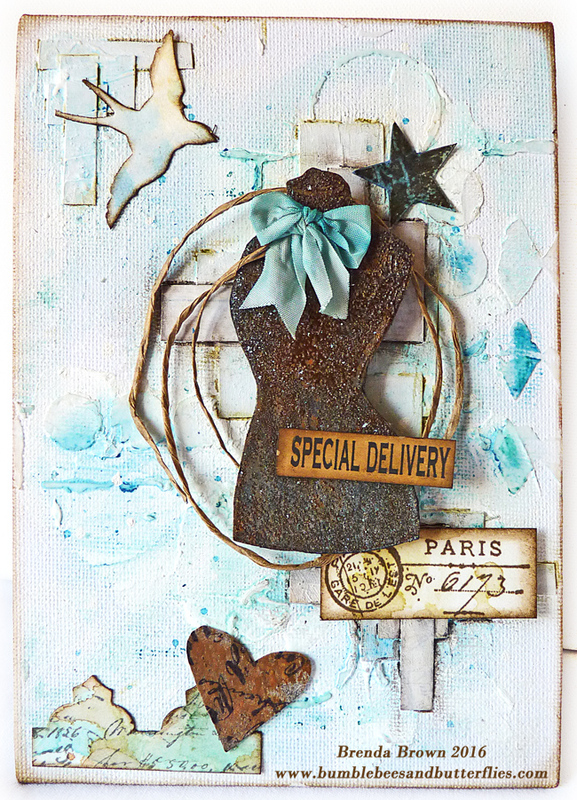 Brilliant design for a mixed media creation Brenda ! 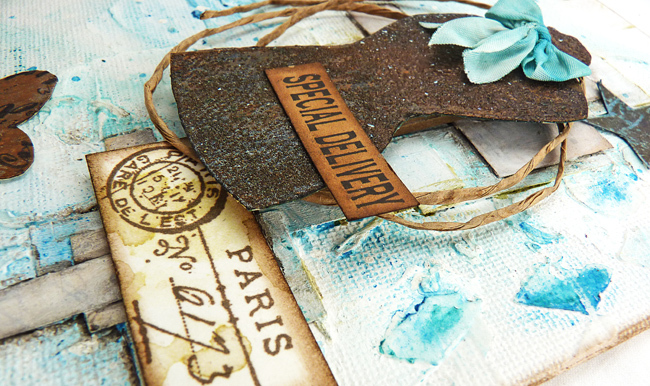 Gorgeous canvas card - love all that texture! Thanks for playing along at Craft Stamper!